Orlean Beeson School of Education offers four different undergraduate programs of study that allow students to pursue a variety of different career paths. Orlean Beeson School of Education is home to four dynamic undergraduate programs. Education undergraduate candidates can choose between four majors in two departments. No matter the path they select, all candidates are empowered to educate, lead and serve. The department of Human Development and Family Life Education (HDFE) focuses on enriching the lives of families through education, service and advocacy. Jobs in this field take courage and stamina. 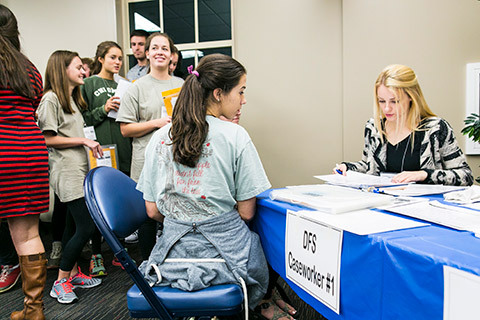 With unmatched field experience, community support and a strong reputation, candidates leave Samford ready to conquer any challenge. Candidates who declare a Human Development and Family Science major can select from six different program options should they desire. The nationally recognized ESEC program is designed to meet the needs of candidates interested in teaching children birth through sixth grade. 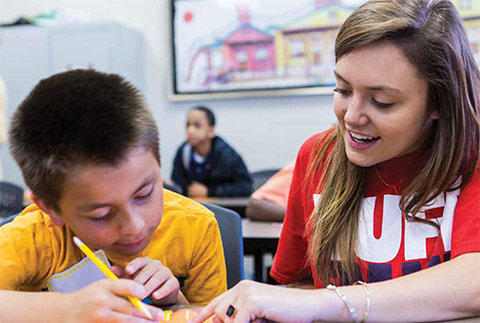 Candidates pursuing this degree earn Alabama teaching certificates in four areas. This qualifies graduates for numerous job opportunities. This program is designed for candidates who desire the flexibility and opportunity to integrate service and teaching in an educational mission setting. The Christian education and missions concentration is open to students throughout the university. The secondary education program is for candidates who wish to teach at the middle or high school level (6th-12th grade). By pairing Samford's renowned and rigorous content classes with solid pedagogy and teaching strategies, we aim to equip graduates to be highly skilled and innovative educators.